Description: Benoist Fleury was born in 1719 in Paris, France. He began his apprenticeship as a luthier at the young age of 13, under Claude Boivin. After completing his internship, Benoist joined Louis Guersan’s workshop as a journeyman around 1738. He lived and worked with Louis until 1744 when he moved to Rue Des Boucheries, Faubourg Saint Germain, where he lived until his death in 1792. 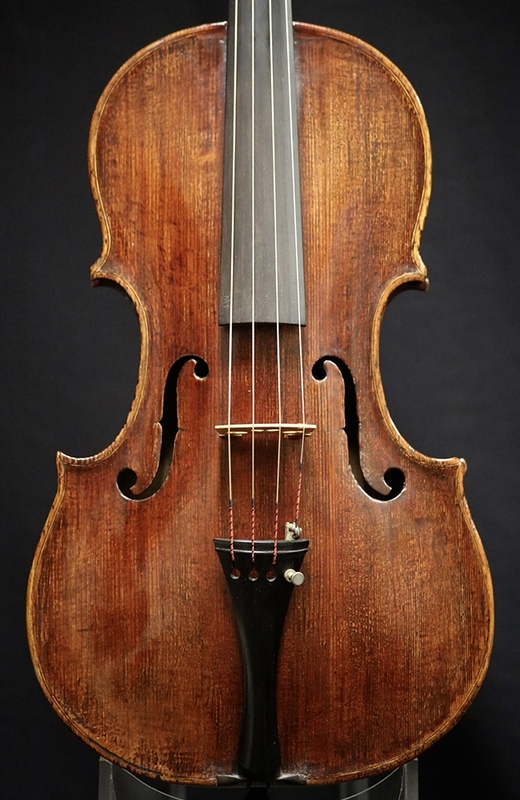 Benoist was awarded juror of the violin makers guild in 1755 and 1756. 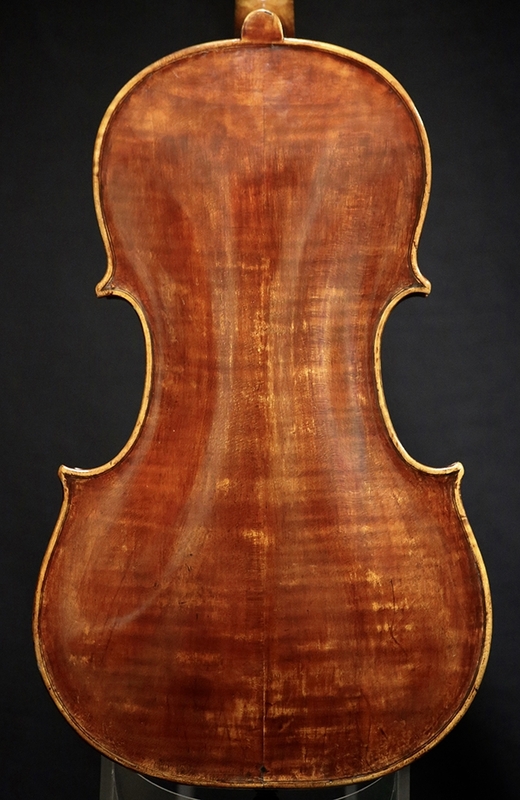 This particular viola is certified by Kenneth Warren & Son. The viola was made in 1756 with the exception of the scroll which is a more modern replacement. The back is formed of two pieces of maple holding very faint, medium flames running upward from the center joint. The ribs are of similar wood selection to that of the back; the scroll is a replacement of more modern origin, mostly narrow flamed maple. The top is made of spruce, two pieces, varied, mostly medium to medium wide grain. The varnish is red-brown color over a golden-brown ground. 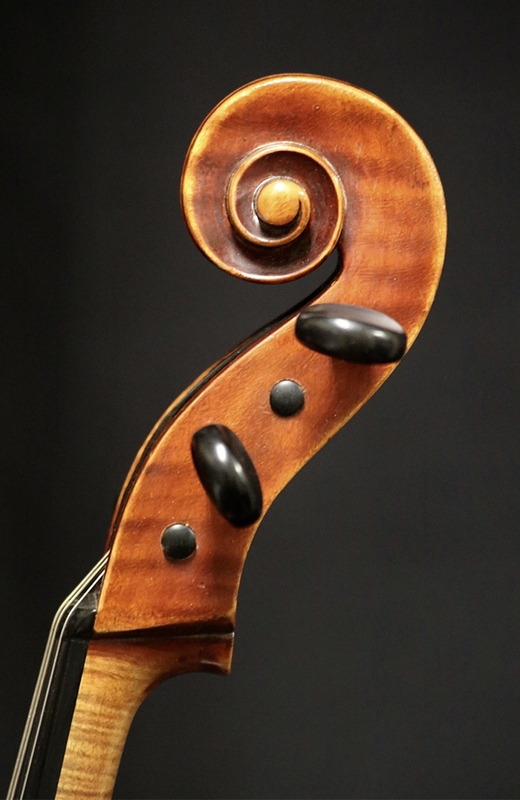 This viola produces a powerful, crisp tone with a darker resonance. Back Length: 15 7/8 in. 40.2 cm. String Length: 14 3/16 in. 36.1 cm.